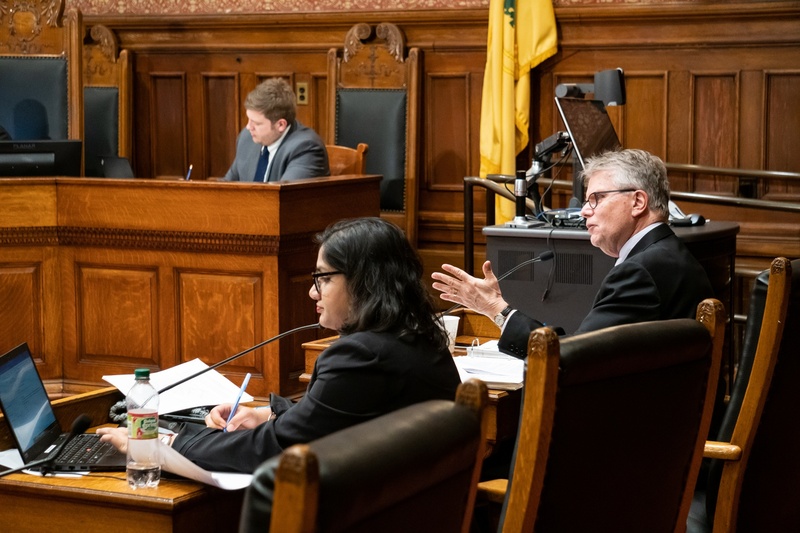 Cambridge City Council passed an amendment that will impose a one year moratorium on cutting down trees in the city as part of an ongoing conservation effort at its weekly meeting Monday. The ordinance bans granting permits for removing trees except in special circumstances, such as for trees classified as “dead” or “dangerous” by the city's arborist. Any violations of the proposed ban would be subject to municipal fines up to $5,000. The measure passed by a vote of 7-2, with Councillors Denise Simmons and Timothy J. Toomey, Jr., voting in opposition. The moratorium will officially go into effect March 11. The City Council previously debated this amendment during a meeting in January, as well as at an Ordinance Committee meeting earlier this month. The committee voted to send the proposal back before the Council to be voted on. In an interview Monday night following the vote, Vice Mayor Jan Devereux said she was pleased the amendment had passed, but she also said the moratorium is a “not the final product” and will act as a “stopgap” while the Council looks to enact more conservation policies. Council members discuss the proposed moratorium before it goes to a vote. Others, like Councillor Toomey, argued that the moratorium is unfairly “punitive” toward Cambridge residents. Cambridge resident Carole Winkler shares her views regarding the proposed moratorium. During the public comment portion of the meeting, over a dozen residents shared their opinions of the amendment proposal in front of the council. The majority argued in favor of its passage, but others, such as Denise A. Jillson, a Cambridge resident and the executive director of the Harvard Square Business Association, opposed it. 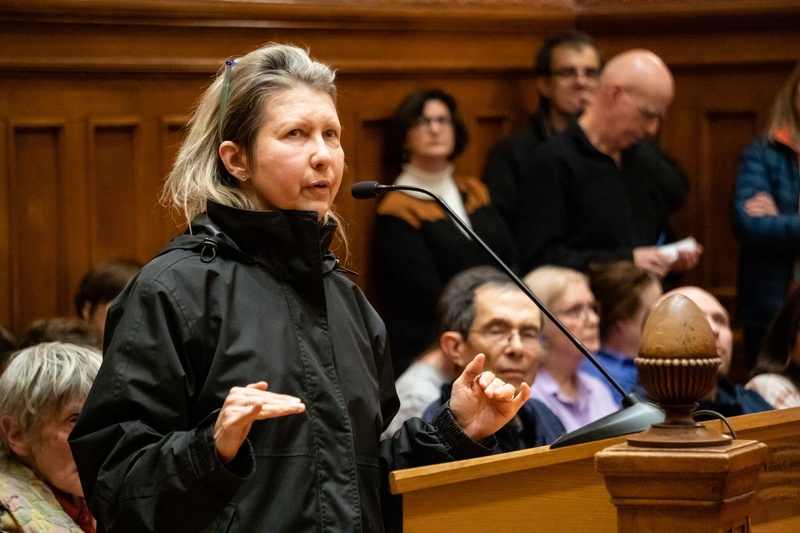 “There are issues that property owners will be confronted with, and you’re making it extremely difficult for us to take action when action needs to be taken,” she said. Though many residents indicated their support for the moratorium, some had concerns over its limitations. 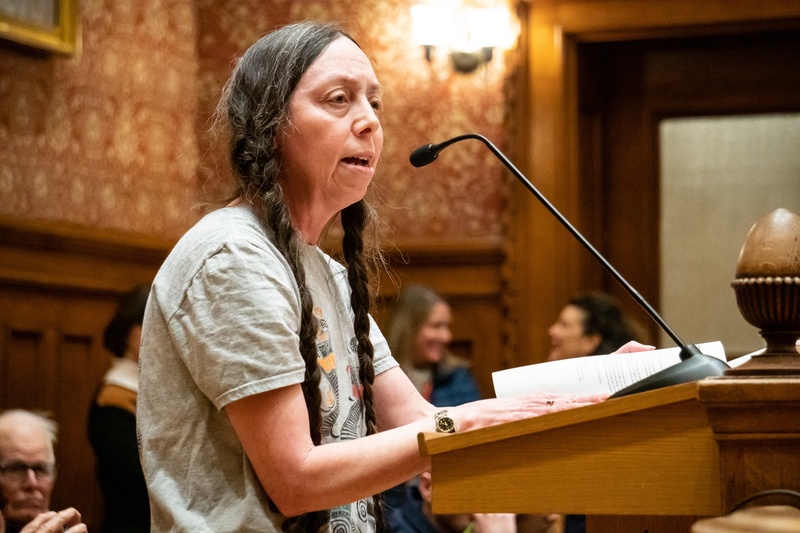 Cambridge resident Judy Johnson argued that without further clarification, the measure would be insufficient to protect enough trees. Cambridge resident Heather Hoffman shares her opinion on the proposed moratorium with the City Council. 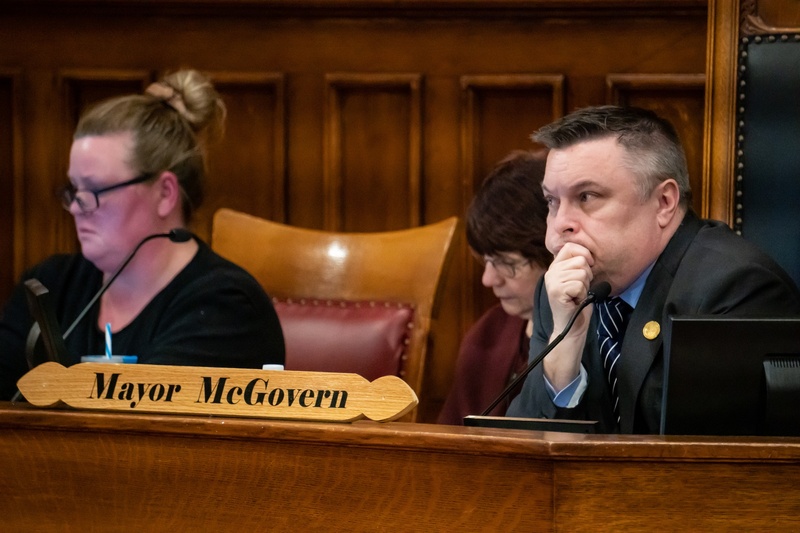 Before voting, Mayor Marc C. McGovern and Councillor Alanna M. Mallon urged people to consider and act on issues with the same fervor as tree conservation. “I am really looking for everyone to be as passionate about those really critical issues for our vulnerable population,” Mallon said. A previous version of this article misspelled Timothy J. Toomey, Jr.'s name. — Staff writer Declan J. Knieriem can be reached at declan.knieriem@thecrimson.com. Follow him on Twitter at @DeclanKnieriem.